2,428 total shares. Be the next! 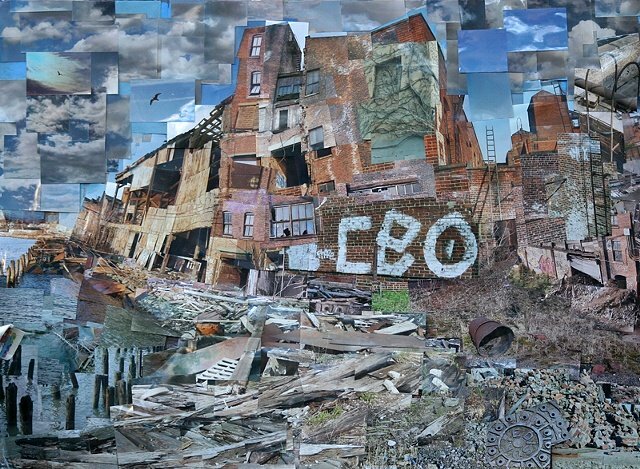 Chris Soria is a visual artist who works in a variety of mediums, including painting, photomontage and mixed-media, and ephemeral arts. A self-taught artist, Soria’s concentration in the visual arts began very early in childhood with the encouragement of family, friends, and teachers alike, later receiving his BFA from Parsons School of Design. His artwork exudes architectonic expressionism fueled by a pervading curiosity for post industrial environments, sacred geometry, allegory, and the cyclical nature of all things. 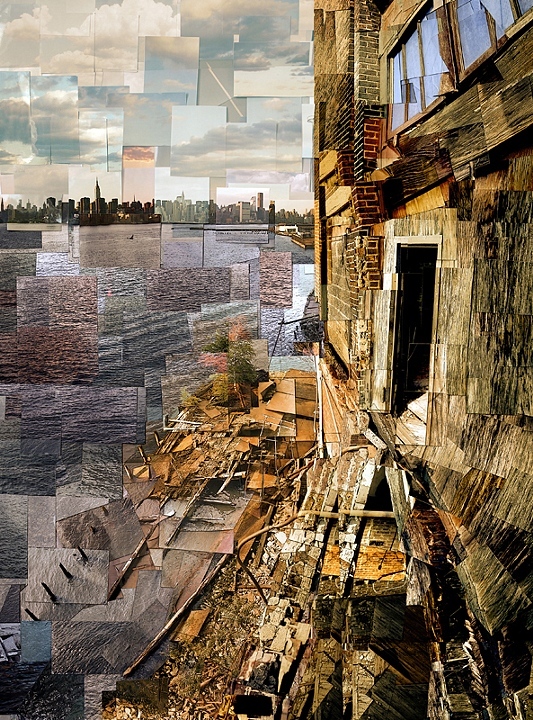 Soria’s photomontages consist of 35 mm prints, cut, pasted, layered, and placed in plexiglass. He is drawn to abandoned factories, exploring the transformation of neglected industry. In a series of documentary works, Soria uses thousands of photographs to rebuild fallen complexes, revealing their post-functional vitality as nature takes claim to their remnants. He montages distinct building sections and reconfigures them to create new structures while, at the same time, revisiting particular sites as they transform under changing seasons and weather. Eventually, where and when pluralize. Time separates. Space is replaced. And everything becomes an imitation of what is lost. An active muralist in New York City, Chris Soria leads mural projects with Groundswell Community Mural Project, bringing together artists, youth, and community organizations, using art as a tool for social change. Soria has led numerous mural projects throughout the city, including Rikers Island, NYC’s main jail complex, funded by the New York State Council on the Arts. In 2012, Soria lead a mural at The International Culinary Center in dedication of Jacques Pepin. This looks almost exactly like what David Hockney did in the 80's. I wish I could see this live or be able to zoom it up for more appreciation of all the detailed piece-work layering and time this must take you. I'm luvvin' it! nice pic how did u do it? Very cool and I just watched Inception for the first time.